Former President Mohamed Nasheed has responded to President Abdulla Yameen’s declaration of trust in the judiciary by alleging that his confidence arises from the ruling Progressive Party of Maldives’ (PPM) ability to influence the judicial process. Nasheed stated that both Yameen and his coalition partner Gasim Ibrahim of the Jumhooree Party were expressing utmost trust in an institution that the European Union and the United Nations, as well as Maldivian citizens continued to regard as in need of reform. They are saying that they have confidence that they can do whatever they want at any particular time through these courts,” Nasheed suggested. He stated that the biggest obstacle to maintaining Islamic principles was the corrupt state of the judiciary and accused the Supreme Court of abusing and breaching the constitution. “What is most needed is the services of a lawyer to become free of criminal charges. The government should not be allowed to place whatever charges they want against citizens,” he continued. “What we are seeing today is the Supreme Court raising charges against anyone whenever they want and then themselves launching investigations into the matter,” Nasheed said, adding that the Supreme Court was currently acting in a manner previously observed in the 1980s. Nasheed further described the apex court as having turned into a “political campaign office” due to what he alleged were political discussions which were taking place among the judges, and various statements of political nature made by them. He accused the court of working “like the police, with utter impunity”, adding that the MDP would continue to raise its voice against any and all unconstitutional actions – regardless of who commits them. Speaking with regard to the Supreme Court’s current case against the Elections Commission (EC), Nasheed alleged that the panel of judges were “pulling members of the EC to court in an attempt to exert political influence over them”. He dismissed the court’s actions as being unconstitutional, stating that as per law, the People’s Majlis – and not the apex court – held oversight powers over the EC. Meanwhile, Vice President Dr Mohamed Jameel Ahmed has levied criticism against the EC, arguing that justice must be served to all alike, regardless of the office they hold. He accused the EC of deliberately presenting obstacles and difficulties to his PPM at the approach of every election. “Every time the PPM complains that the time the commission provides for any certain task is not sufficient, the EC will claim that they cannot extend the deadline. Then they will go ahead and extend the deadline anyway. 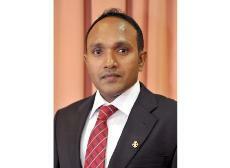 This is something that we in PPM find very worrying,” Jameel said. Jameel said that in order to win any election, the PPM had to face three competitors – the Maldivian Democratic Party, clandestine funds provided to the MDP by unknown entities, and the Elections Commission itself. The Vice President further accused the EC of working against the laws which govern it, and of attempting to work in a manner that is beneficial to a certain party. Speaking of his recent trip to the southern atolls, former President Nasheed noted that he had observed a trend of employees being transferred or fired based on their political affiliations. 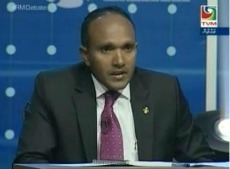 “I want to say to the Civil Service Commission’s President Dr Latheef to please be aware. If even a single civil servant has to face such a loss, how will you defend your seat once we gain majority in parliament? We will closely observe what is done to the civil servants,” Nasheed stated. He also alleged that employees at various tourist resorts were also being unduly dismissed for political reasons. 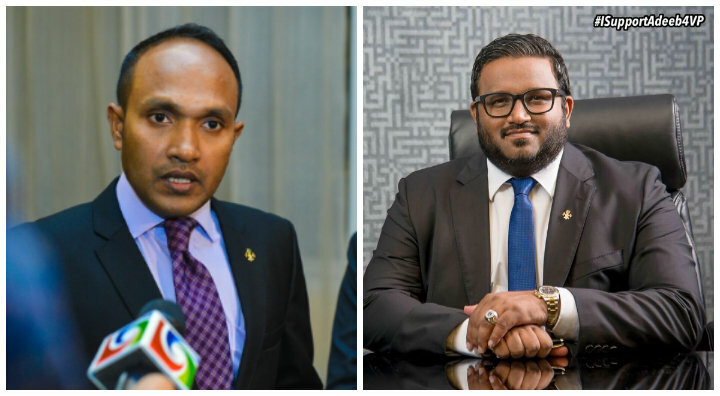 In the last quarter of 2013 – just ahead of the presidential election – employees from Irufushi Beach and Spa Resort and Sun Island resort spoke to Minivan News about what they alleged was the purging of employees based on their political affiliations. Minister of Home Affairs Umar Naseer stated on Monday night that he had granted an order to police to remove any material which could be interpreted as “inciting hatred towards police”. The Home Minister’s announcement was made during an event held in honour of retired Commissioner of Police Abdulla Riyaz, who has left the services to pursue a political career. “For a long time now, there have been attempts of different levels to ruin the reputation of the police force and to create hatred amongst the public for this institution. This is something that has been done in other countries too. 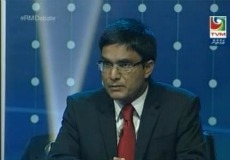 But the thing is, peace and stability have never been established in such countries,” Umar said. Umar pledged to make the police force an institution which is loved and respected by all citizens. Calling on educated youth to join the police forces, the Home Minister said that it is through employing young, capable, educated persons that the police force can be further strengthened and developed. The Home Minister further pledged to “destroy gateways through which drugs are brought into the country”, as well as to eradicate all such networks. 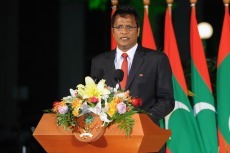 The biggest problem faced by the Maldivian society is the issue of drug abuse, he suggested, stating that he had already begun to take necessary measures to eradicate such networks in the near future. He promised that the police would play a huge role in the operation, and opined that it would be near impossible to bring down other crime levels without first handling the issue of illicit drug sale and abuse. “We are coming out on a war against the issue of drugs. I hope we will get your full cooperation in these efforts. We will completely destroy drug trade networks,” he told the gathered officers. Newly appointed Commissioner of Police Hussain Waheed, meanwhile, advised the police to speak “gently and caringly” when addressing citizens, and to maintain equal treatment to everyone. He then said that police should become an entity which rids the community of the currently spreading “hatred and discord”, and that is should aim to bring back unity amongst the people. During the same event last night, Vice President Dr Mohamed Jameel Ahmed stated that the police’s primary objective should be to ensure that they impartially enforce law, rather than whether or not they are garnering support and popularity. Jameel stated that there are complaints that some of the police stationed in atolls work differently from the norms, saying that this leads to public disapproval and gives rise to concerns. He said that there should be no discrimination in the enforcement of law. “Those who are mandated to enforce the law must not question the fundamentals of the law itself. Police must not question the substance of a law. It is not the police who decides whether or not the substance of a given law is solid. 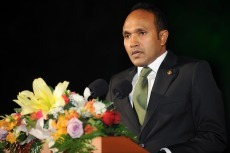 The law is already passed, and the police’s duty is only to enforce it,” Jameel said. “If the citizens are being disturbed due to a loud speaker, you must be able to stop the loud speaker. If citizens are getting harassed on the street in a manner that disturbs them, and there is a law banning such action, you should be able to stop it. If there are laws made to assist the people, the police must be able to enforce it. I hope you will work in that manner,” he stated. Jameel said that, although at a low level, it had previously come to his notice that police officers had acted on their own accord in certain cases, despite actions to be taken being specifically stated in law. He said that such actions had inhibited the growth and development of the institution. He added that it was only when crime rates go down and stability is maintained that the police can be considered as having fulfilled their mandate to its fullest. He further called on the police to help the government implement a social protection system, saying that one of the strongest pleas of the public is to remove the political polarisation and to establish unity and oneness among the people. The Progressive Party of Maldives (PPM) has said it is lobbying the courts to resume proceedings in the criminal case against opposition Maldivian Democratic Party (MDP) presidential candidate Mohamed Nasheed. PPM candidate Abdulla Yameen’s election agent, Abdulla Ameen yesterday (September 30) told local media that it was imperative the judiciary speed up the court cases concerning Nasheed’s criminal prosecution. 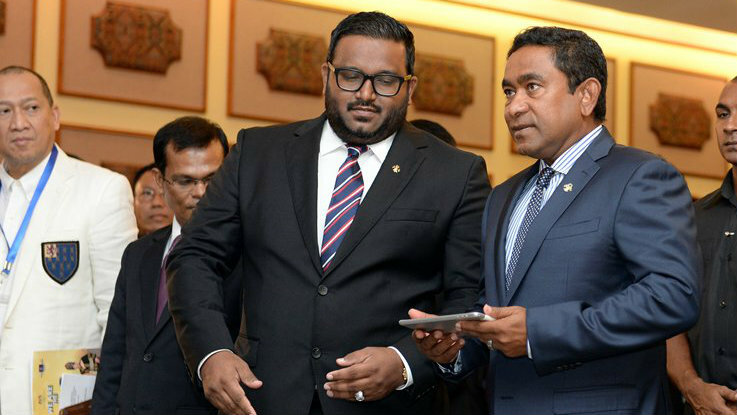 Ameen called on the EC to delay the second round of elections until the courts concluded the trial of Nasheed, expressing fears that the public may otherwise begin to question the credibility of the elections. Nasheed was charged by the prosecutor general for his involvement in the controversial detention of Chief Judge of Criminal Court Abdulla Mohamed, during the final days of his presidency. The case is currently suspended after Nasheed’s legal counsel challenged the legitimacy of the appointment of the judges-panel to Hulhumale Magistrates Court, where the trial is being heard. During a PPM rally held on Monday evening PPM MP Ahmed Shareef claimed that, once the party finished its work, the MDP would be dissolved, would cease to exist as a political party, and that Nasheed’s name would not be in the ballot paper. The PPM MP also claimed that the 95,224 votes which Nasheed had obtained in the first round were achieved “through fraud and deception”. “The maximum vote that man will ever get is 50,000 -60,000. That is even if they work extremely hard. [Extremely hard work such as] deceiving the people, brain washing them and misleading the youth,” Shareef told the rally. Meanwhile, PPM running mate Dr Mohamed Jameel Ahmed told the rally that the Maldives would not have any stability if there is a presidential election with Nasheed competing as a candidate. Jameel claimed that Nasheed had treated the Chief Judge of Criminal Court Abdulla Mohamed in “such an inhumane and derogatory manner” when the only wrong he had committed was to “faithfully execute his responsibilities as a judge”. The former home minister also said that the judges who had purposefully been delaying the former president’s trial should take responsibility for the current state of the country. 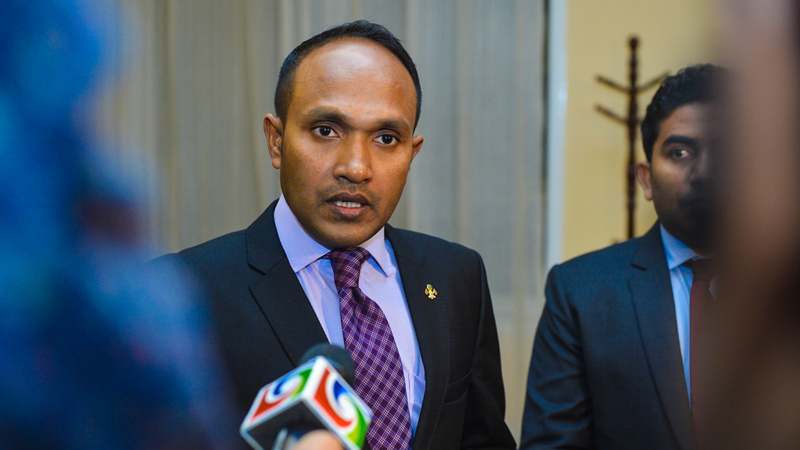 Jameel previously said that the MDP leader “will not be allowed to assume power”, even if he should emerge as the clear winner in the run-off election. The official results of the first round of Presidential Elections – held on September 7 – showed the MDP finishing the race in front with 45.45 percent of the popular vote, while former 30 year autocrat Maumoon Abdul Gayoom’s PPM trailed behind with 25.35 percent of the popular vote. The constitution dictates that if no candidate attains the required ’50 percent plus one vote’ for a first round election victory, the winner is decided by a run-off election held 21 days after the first poll. However, resort tycoon Gasim Ibrahim’s Jumhoree Party (JP) – who narrowly missed a place in the run-off elections after finishing the poll in the third position with 24.07 percent – filed a Supreme Court case requesting the court annul the poll, alleging voting discrepancies and irregularities. On September 23, the Supreme Court issued an injunction indefinitely delaying the second round of the presidential election until it had finished looking into alleged discrepancies from the first round. In addition to challenging the validity of the presidential elections, the PPM last Sunday announced its intention to file Supreme Court cases against individual opposition MPs, including Speaker of Parliament Abdulla Shahid, in a bid to challenge their legitimacy as members of parliament. The announcement comes at a time when the PPM and its allies have lost the parliamentary majority to the opposition MDP after the Dhivehi Rayyithunge Party (DRP) – with eight MPs in parliament – decided to back the MDP in the presidential polls. The MDP and its new ally the DRP now control 39 out of 77 seats in the parliament – a simple majority. The two parties last week passed a resolution ordering the EC to proceed with polls as planned, and called for the security forces to support the EC. The resolution, however, was ignored in favour of the Supreme Court order. However, following a second Supreme Court order – calling upon the security services up uphold the injunction – police surrounded the EC secretariat. The EC soon announced prompting the EC to announce that current conditions were not conducive to a free and fair election.